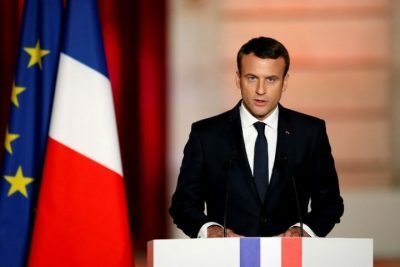 French President Emmanuel Macron appeared to have been in an advantageous position to govern Europe’s second most significant state in the aftermath of a resounding victory in the parliamentary elections on June 18 where La Republique en March (LaRem) won an overwhelming majority. Nonetheless, in a matter of days Macron’s cabinet was marred by several resignations of ministers from the centrist Democratic Movement (MoDem) which has supported the ruling party. The announcement that these officials were the focus of a corruption investigation assured their departure since one key aspect of the president’s campaign pledges was the promise to maintain a transparent government. Amid the scandal Macron reshuffled his cabinet replacing the departing ministers with individuals who are far less known in French national politics. Justice Minister Francois Bayrou along with European Affairs Minister Marielle de Sarnez, both of whom are MoDem party leading members, submitted their resignations from the cabinet on June 21. The news of their departures came just one day after Defense Minister Sylvie Goulard‘s unexpected resignation on June 20. Goulard is also with the MoDem party. Allegations have surfaced that the MoDem misused European parliamentary funds to hire aids that were stationed in France. Even with these resignations of MoDem officials, LaRem still maintains an absolute majority. Former Socialist government functionary Florence Parly, who has been employed at major French transport companies, was appointed as defense minister. Nicole Belloubet, considered an expert in the legal field, was designated to take over the justice ministry. Switching from the Ministry of Agriculture, Jacques Mezard, is being assigned to territorial planning. Stephane Travert, a Macron loyalist, will serve as agricultural minister. On June 25, Macron’s former Socialist Party decided to cast its vote against a motion of confidence in the new government. Therefore, the Socialists will become key players in the opposition although they have been decimated by the ascendancy of the centrist LaRem which was founded only a year ago. Socialists hold less than 40 seats in the National Assembly posing no threat to the ability of Prime Minister Edouard Philippe to win approval of the cabinet and the policy initiatives which will be delivered in a speech on July 4. In addition to opposition from the Socialist Party, Macron will face ideologues in the conservative Les Républicains (LR) party, the putative far-left MPs from Jean-Luc Mélenchon’s France Unbowed party and Marine Le Pen’s neo-fascist National Front. One faction within the LR party, known as “the Constructives,” appears to be harboring a more moderate line on the new government. Philippe, who is 47, is a member of the LRs, the center-right party. He was appointed by Macron as prime minister on May 15. 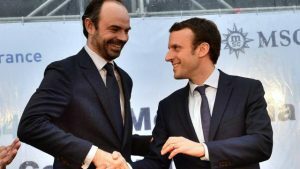 Macron, who has a background as an investment banker, and Philippe, a lawyer and member of the moderate right-wing, have made claims of bridging the traditional left-right political polarization in France. This notion of a third way, must be examined closely in regard to the actual policies that will be implemented inside the country and abroad. Perhaps the most controversial aspect of the LaRem majority government will be its efforts to institute reforms in labor law. These proposals will ostensibly make it much easier for employers to hire and terminate workers. However, with high unemployment, miniscule growth rates and the decline in career jobs with unionized protection, the question remains whether the neo-liberal reforms will actually provide incentives for the creation of broader opportunities among working class people. In many ways developments in France are a reflection of the character of the labor markets in most western capitalist states since the mid-to-late 1970s. In the United States which has the largest capitalist economy in the world where a series of recessions have occurred over the last 45 years, a similar situation for workers prevails. Unionization has gone down to 6.4 percent in the private sector and 34.4 percent in the public sector, totally 14.6 million workers. This represents a dramatic downturn for representation of employees. In 1983, the first year that such statistics were compiled, 20.1 percent of workers were unionized constituting 17.7 million people. Consequently, the precipitous decline in union membership overall has weakened the capacity of the working class to challenge the imposition of draconian restructuring mandates that have resulted in the lowering of real wages in the U.S. Since the public sector now has more than a 500 percent greater rate of unionization than private industry it is not surprising that large-scale attacks by the capitalist class have been leveled against civil servants and educational employees. Notions that privatization of municipal services and schools are inherently more efficient serves as a propagandistic cover for weakening and dismantling unions. This offensive against unionized employees coincides with the worsening of standards and social conditions within the large metropolitan areas related to educational quality and the maintenance of urban infrastructure. 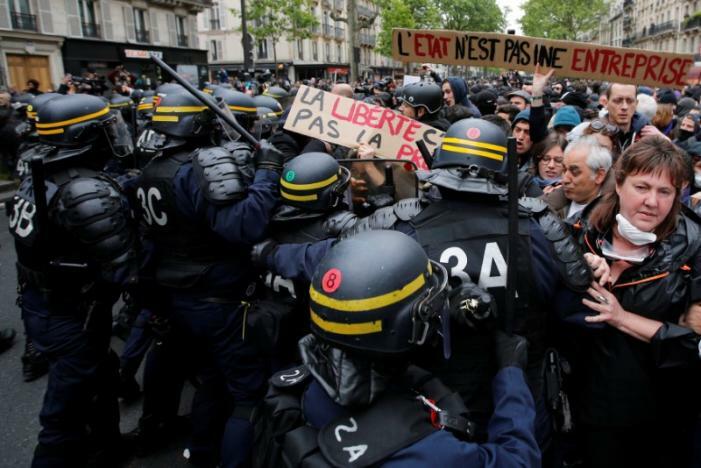 In France, the trade unions could possibly wage the strongest resistance to the labor reforms proposed by the LaRem government. The General Confederation of Labor (CGT) has gone on record opposing the proposed efforts by Macron to further stifle the working class. Although the CGT severed its links with the French Communist Party in 1995, the general strike of that year remains within the collective consciousness of the ruling elites. Protracted labor unrest in France would have a major impact on the European Union (EU) as a whole, potentially prompting public sector unions in other states to oppose further reforms and therefore dampening the efforts by both Paris and Berlin to forge closer ties in the absence of Britain’s departure (Brexit) from the continental economic project. One significant indication of the international posture of the Macron-Philippe regime was the announcement that France will not recognize Crimea as being a part of the Russian Federation stemming from a 2014 referendum during the period of the aftermath of a right-wing coup in Ukraine which led to a civil war between Kiev and regions in the West of the country. The new French president held talks with his Ukrainian counterpart, Petro Poroshenko, in Paris after the June 24 visit by Russian President Vladimir Putin to Crimea. Poroshenko condemned Putin’s visit as a violation of Ukrainian sovereignty. EU member-states recently agreed to extend their sanctions against Moscow accusing the Putin government of not honoring the Minsk Accords ostensibly aimed at ending the fighting between anti-Kiev forces and the western-backed regime of Poroshenko. With the election of U.S. President Donald Trump in November partly based upon his pseudo-protectionist “America First” rhetoric and the vote by the British people to withdraw from the EU in June of last year, France and Germany are attempting to close ranks in order to salvage the more conventional brand of 21st century globalization. Nevertheless, with the fracturing of the western capitalist leaders involving differences over how to proceed in the current period may pose serious obstacles to a much-desired economic recovery in France.